Near record cool temperatures greet you out the door with lows in the lower to middle 60s. Highs rebound to the upper 80s with low humidity and plenty of sunshine. Wednesday is our transition day. 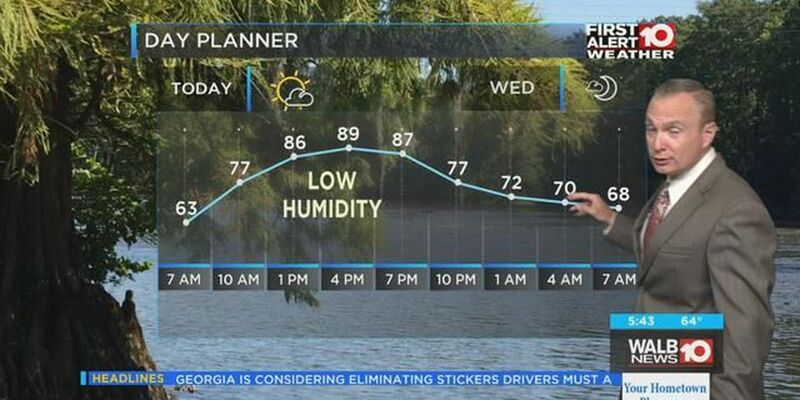 Humidity and clouds build with a slight chance of an afternoon shower or thunderstorm. A warm front brings Tropical moisture back. Widespread showers and thunderstorms may bring heavy rain which should last until Friday. 2 to 4 inches of rain is possible.